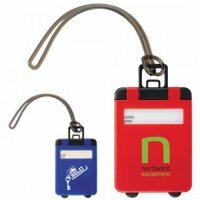 Custom luggage keychain tags easily become walking brand testaments with minimum efforts. They are usually tucked around handles for better and easy visibility. Usually offered in several impressive colors, they make it easier to find baggage in the crowd. 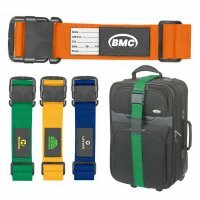 Most people love to keep it tucked over their handles and feel proud in carrying it around. 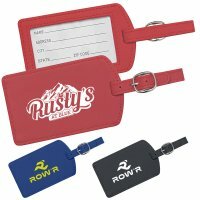 By imprinting their brand names over these keychain tags, marketers can expect to make great impact. 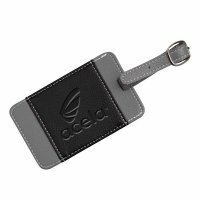 Customized luggage keychain tags are the best way to avoid baggage mix-ups and they aid travelers to remain tension free. 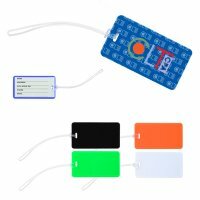 Usually luggage tags bear the risk of falling off when they get stuck at places but smart marketers are keen to invest in durable PVC luggage keychain tags and typical ones such as neoprene luggage grippers. You don’t allow your customers to leave your store without serving them appropriately, right?! Why is it done? For business benefits and to avoid them going to your other competitors. The same logic should apply to their bags and you should not allow them to leave home without a proper luggage tag. 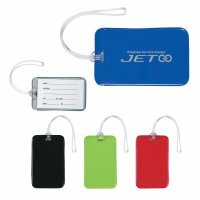 A named tag will help them to identify their luggage, keep it safe and to enjoy a great travel time. Many times people avoid travel due to the fear of baggage miss ups and other identity crisis. You can help them to overcome their fears by giving any of the above customized luggage key chain tags. By doing so, you are trying to inch super closer to your customer and making them believe that your brand will continue to cater them through the crisis. 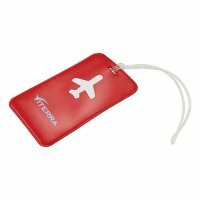 We offer free artwork proof and free artwork assistance on all our luggage tags. No payment is required until the acceptance of design proof. We offer one of the fastest turnaround time in the industry. 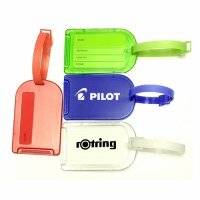 To know more about any of these promotional luggage keychain tags, their pricing or promotional benefits, feel free to reach out our team at 855-539-8247 or write to us at info@budgetkeychains.com.